Note: The environment variables must be enclosed with in double quotes. One can click on “Save” to Save the commands, and the next time the same can be accessed through the “Run” menu. If you are able to compile thru the PC cmd prompt this will do the same but with in the Notepad++ environment. I enhanced the script a little bit. Perhaps someone else has also use for this. It stores the *.class file in a different path (specified through the system variable CLASSPATH). If you work with a class containing a ‘public static void main(String args)’ method you can also test the class. A post after a long time- Back to College!! Hey mohammed, nice post I must say. The purpose of notepad when developed was just to provide a facility to scribble down and save it… a text tool. And that is what is provides very efficiently even today. It consumes very low memory and uses least system resources. When you want to run java rpograms now thats not a responsibility of a text tool… so you can switch over to more powerful tool and thats where IDE come into picture..
Anyways, it was a great post..also EditPlus is very easy use..i normally use it..compilation and running are just one mouse button click away. @Passing SCJP: Blah.. Blah.. Blah..
where do you get notepad ++? ?it is not there as default in windows xp. Some changes have to be made if in case the code involves packages and command line arguments. i have problem with notepad++…. it cannot compile my project, what should i do? which version of java is used for notepad++? What is the error u r getting? When using Notepad++ the Output window which u get after compiling does not stay so one cannot come to know the compilation errors. Any Java version is supported. Notepad++ is just an alternative to the Command line compilation. 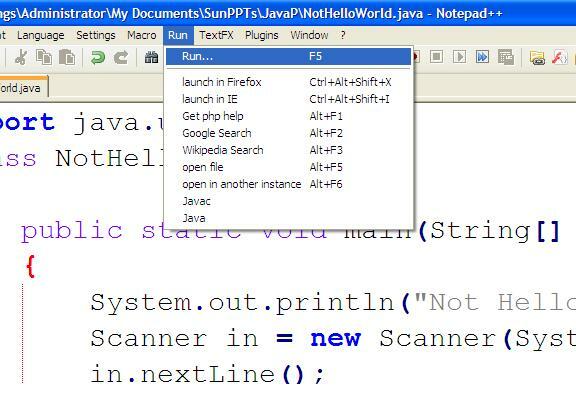 If u r facing problems using Notepad++ u can use command line compilation instead. IF you are able to compile thru the PC cmd prompt this will do the same but with in the NPpp environment. Thanks for the Tidbit. I have explained the same in the post. You are absolutely right it makes the work lot easier. Took me a long time to find out that F6 runs NppExec, which was not installed by default for me. Initially thought it was the same thing. But after u’r recent comment i tried it out and found it to be lot different from what i have posted. Sorry for not interpreting u’r suggestion correctly. Thanks a lot for the suggestion. Will update my post to add u’r suggestion. Do suggest some areas where i can blog about. Under NppExec Advanced Options there’s a Menu items area. You can add the items there and then assign shortcut keys using the method described in the dialogue box. How may I do so ? What C compiler is preferred ? Once u have configured the bin directory path i.e added the bin directory of Cygwin to the existing path variable u can use it for compiling your C/C++ programs using gccg++ compiler on windows. Just to clear up any confusion, if any readers find that pressing F6 does nothing, then you may not have the nppExec plugin installed. You need to install this before you can use the suggestion posted in the article. Thanks mate for the nice post. Add some shortcut keys and it works like a charm. Thanks for the suggestions. Haven’t been finding time to write more. Meanwhile if u have any suggestions on how i could improve the blog. Suggestions for the articles- U are please welcome. Thanks Michel for the update. Will update u’r suggestion on the post. Just updated with your method as well. thank you LightGeoDuck for your advice. 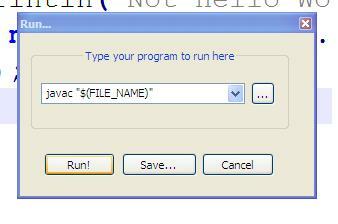 When I type javac “$(FILE_NAME)” using F5 command, the javac.exe file is called but nothing happens. The command windows appears and then disappears quickly. What do you think is happening? I had to remove the quotes from $(CURRENT_DIRECTORY) to get the script to work in Notepad++ using Windows Vista. Yes.It works using NppExecute. But how do you make the command prompt to stay or pause using the Run(F5) feature. 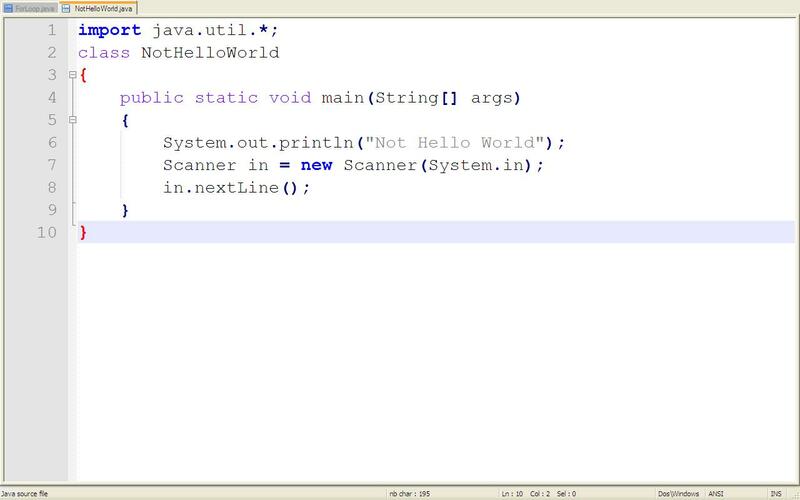 For this you can add a line in your java code which waits for input from the user. Then, until you press some key the command window will stay. Can you please try the other method- Suggested by one of our readers- Its towards the end of the post. Use these. the pause the CMD window and will work witth any open fgdg f document in notepad. Could not find the main class: Test. 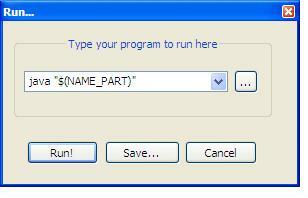 Program will exit. Exception in thread “main” <<< Process finished. Any idea why id does this ??? The problem is that the directory where you have stored the .java file and the working directory- the directory which javac/java command searches for the file are different. You would have to store you java source files in C:Program FilesNotepad++ and try running the commands. You can even have a look at other commands/environment variables supported by Notepad++. It took me one hour just to figure that out. this information is really very useful because i thought without Linux we can not run our program now it is possible i am very happy to visit this web site. Thank u. If there is a compilation error, is it possible to click on the error line and make the editor go to that line? Hi, I am a starter with these things but I found it very interesting..
Firstly see that you fix the compile time errors. For the strings in println you need to be using “”. Then save the file with the name same as that of the class having main method. Then install the NppExec plugin. Somehow the -d option doesn’t work when there was multiple directories in it? I havent tried using it with a lot of options. If someone has used it, would be helpful to highlight it here so that I can update the post. CreateProcess() failed with error code 2: The system cannot find the file specified. Then hit Save… and assign a name and a Keyboard Shortcut (I use SHIFT + F5). Now whenever you have saved code in your Notepad++ window, you can simply press SHIFT + F5 to both compile and run your program. This will only run the program if it compiles without errors, and there is an automatic pause built into the Run shortcut so you don’t have to build a pause into your program. As soon as you are done reviewing the output of your program (or compiler errors), you press a key and the command window closes! I like this method because it doesn’t require any plugins. 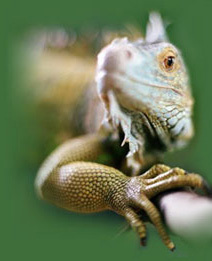 This plugin http://www.techsach.com/2012/06/java-tools-plugin-for-notepad.html does this for you. Hi! This is great! I have learnt about NppExec from this blog. -C:Program Files (x86)Notepad++ or Notepad++ installation directory is local to the command run by Run. 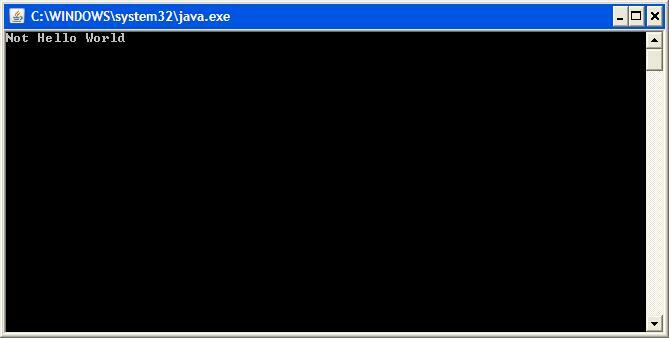 So, if no pushd “$(CURRENT_DIRECTORY)”, java “$(NAME_PART)” will mean java C:Program Files (x86)Notepad++”$(NAME_PART)”. And if you import class from somewhere not from JDK itself, then it won’t be able to compile as Run will look for the class in C:Program Files (x86)Notepad++, since C:Program Files (x86)Notepad++ is local to the command. if you copy the code above, change the quote ” to “. The former one is invalid in the command line, it won’t work. For unknown reason the quotes are automatically changed to a different quotes character that will render the command invalid. PS: if no difference here, and it won’t work in Run, just retype the quotes anyway. I get error message “The system cannot find the file specified.” Please help. I got the same message when I first tried to compile a program. Turns out I forgot to set the PATH environment variable. Try this: http://docs.oracle.com/javase/tutorial/essential/environment/paths.html.